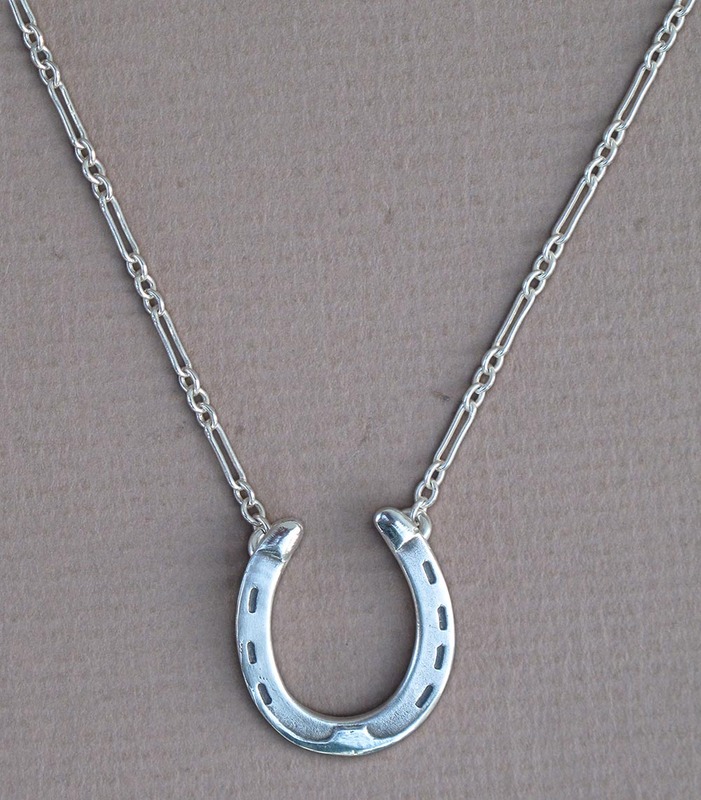 This sterling silver horseshoe with both toe and heel caulks measures about 3/4" wide. It hangs on an unusual (18") silver chain that's comprised of alternating round and long links. Handmade in the USA.